Born and raised north of Chicago, Lindsey moved to Orlando in the summer of 2011 for a chance at warm winters, palm trees and the University of Central Florida. From graduating with a Bachelor of Science from the Rosen College of Hospitality Management, she instantly began her professional career at the publication, Orlando Weekly. There, she quickly grasped the sales and marketing field and moved up the ranks to Sales Manager within just 5 months. She formed relationships with various business owners from all different industries and helped them with multiple platforms of marketing including, digital advertising, print publication, social media, as well as, event sponsorships. From Kissimmee to Sanford, Lindsey has learned the in's & out's of local living here in Central Florida. In January of 2017, after many months of planning and preparing, Lindsey decided it was time to make the jump into Real Estate. Her mother and grand mother were both Realtor's which helped spark her interest in the industry. She is looking forward to many years to come as a Realtor and hopes to gain broker designations over the coming years. Her first year as a Realtor, Lindsey assisted in over $6 Million dollars in sales, with transactions ranging from $175,000 - $1,550,000. Much of her success came from the mentorship, marketing and constant attention to all of her wonderful clients. In February of 2018, Lindsey decided it was time to officially go out on her own and focus on the future of Homes with Hahn. 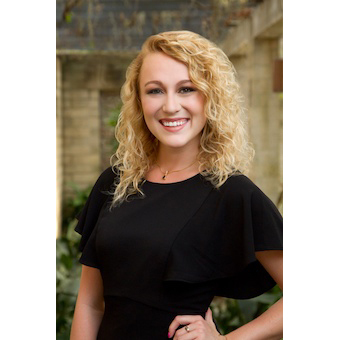 Joining ALL Real Estate & Investments out of Delaney Park, Lindsey was graciously welcomed to the team and is honored to work with such an incredible group of women. By the end of 2018, Lindsey closed over 3.1 Million in sales + 4.1 Million in assisted sales. She is extremely grateful for her clients, colleagues and brokerage for helping make her 2nd year as a Realtor so successful! She is especially thankful for her Broker and mentor, Amy Ladd Miller, for allowing her to become a member of her outstanding team. She is looking forward to continuing working together for years to come! In Lindsey's spare time, she enjoys wandering throughout the various boroughs of Orlando, checking out new local spots, going to breweries (but ordering cider), watching Chicago sports + all things football, brunching (she's on a mission to find the best Eggs Benedict in Orlando) and traveling as much as she possibly can! She is dedicated, trustworthy and resilient and will continue to work as hard as possible to achieve each and every one of her clients goals, as well as, her personal and professional goals!